In Orlando, the annual Summer FUN convention will be held from July 9th to 11th. 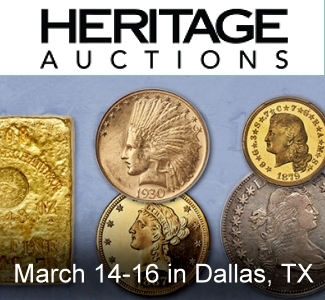 As usual, Heritage will conduct the official auction. 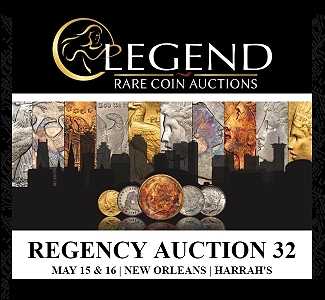 Although this will not be an epic auction, there are many desirable classic U.S. coins and there will be opportunities for collectors. The fanfare that surrounds offerings of major collections or fresh rarities will not be a factor. Furthermore, there are not many, newsworthy ‘fresh’ individual coins. There are a wide assortment of classic U.S. coins and pre-1793 American items, including coins with a variety of certifications. In this discussion, I am recognizing the reality that, in contrast to my advice, thousands of coin buyers are more focused on the holders than on the coins themselves. People have different philosophies, methods and approaches to collecting coins. 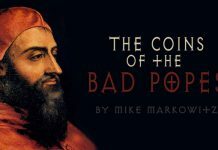 Readers of my articles are aware, hopefully, that I am a very strong believer in buying the coins, rather than ‘the holders.’ I encourage collectors to carefully inspect coins and/or to discuss coins with experts who have carefully inspected them. I realize however, that not everyone has the time or inclination to think much about the physical characteristics of coins. When I view auction lots, I make an effort to cover each coin’s certified grade in order to grade it myself before becoming aware of its certified grade and designation. Some coin buyers are extremely busy, however, with their respective jobs, spending time with their families, watching sporting events and/or concentrating on other hobbies. Not all coin buyers wish to take the time to think about the finer points of coins or to discuss details. Some of the people who focus on the holders and just glance at the coins are part of the coin community, too. 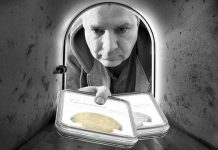 Indeed, many coin buyers briefly view their coins after they arrive in the mail and then place their coins in safe deposit boxes without ever carefully inspecting them. Every coin buyer does not have the time and the inclination to reflect upon precise characteristics. Some coin buyers do not view their coins for months, years, or a whole decade, or even think about them. 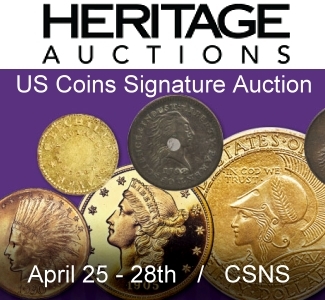 As this auction contains a variety of relatively affordable, classic U.S. coins with an assortment of certifications, this auction lends itself to a discussion of holders and certifications. It is hoped that this discussion will shed light on some market realities of interest to coin collectors and on issues relating to certification practices. In this discussion, I am not putting forth my own opinions. I am encouraging collectors to think for themselves about certification practices, market realities and collecting strategies. 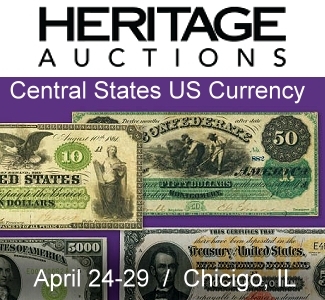 The method by which Heritage enables visitors to their web site to access so much data about coins in Heritage auctions is particularly helpful in the context of reviewing the presence of various holders and certifications of coins in any one auction. It does not make sense for auction participants to ignore the reality that many coin buyers are focused on certifications, as bidders who are enthusiastic about the physical characteristics of individual coins are competing with bidders who are focused on the holders more so than on the coins. Among the U.S. coins, patterns, and American colonial coins dating from 1652 to 1934 in this auction, 1440 items are PCGS graded and 949 are NGC graded. The ratio is thus about three to two (3:2). In another words, around sixty percent of the PCGS or NGC graded classics are in PCGS holders, in this one auction. There are no uncertified, classic U.S. coins in this auction, as best as I can tell. Moreover, there are no coins that were graded by ICG, NTC, SEGS, Hallmark or PCI, services that had received much attention in coin related media in the past. For decades, it has been clear that PCGS and NGC are the leaders and others have not been in the same echelon. 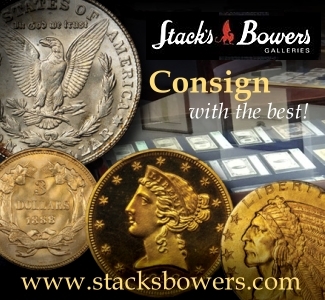 In mainstream coin auctions, almost all the classic U.S. coins offered are in PCGS or NGC holders. If a classic U.S. coin valued at more than $200 is not in a PCGS or NGC holder, many auction participants will wonder why and may be concerned. In this auction, more than 97% of the classic U.S. coins and American colonials are in PCGS or NGC holders, and such a high percentage is not unusual. In more important coin auctions, the percentage is often even higher. In the recent Pogue I sale, 100% of the coins were in PCGS holders. 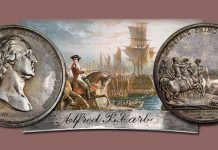 In multiple sales of Eric Newman’s classic U.S. and pre-1793 American coins, nearly 100% of the items were in NGC holders. I continue to be astonished by reports in the media about disgruntled coin buyers who acquired expensive coins that are certified by grading services that are outside the mainstream. Here, I refer to pre-1935 U.S. and pre-1793 American coins and patterns as ‘classics.’ Reasons are put forth in an earlier discussion. This is an American definition of the term ‘classic,’ as the same word has a much different meaning among coin collectors in Great Britain and elsewhere around the world. Among the approximately 2650 classics in this auction, 118 are in PCGS ‘Genuine’ holders and 69 are in NGC ‘Details’ holders or NCS holders. Another 61 are in ANACS holders. So, from 6% to 10% are non-gradable by PCGS or NGC standards, not a large proportion of coins. Without carefully examining the coins, it is especially difficult to predict how many of those in ANACS holders would receive numerical grades from PCGS or NGC, if submitted. Surely, at least twenty-five of them would, eventually. The fact that more than 90% of the coins in this sale are gradable, by PCGS or NGC standards, is important, as non-certified classic U.S. coins that are offered at small shows or in auctions outside of the mainstream of the coin community are often non-gradable. Telemarketers sometimes glorify coins that would be judged to be non-gradable by experts at PCGS or NGC. Of the 949 pre-1935, NGC graded coins in this auction, 87 have plus grades, about 9.2%, a number that is a little higher than expected. NGC was founded in 1987. NGC “launched the Plus Designation on May 25, 2010,” Scott Schechter recollects. Scott is the vice president of NGC. Of the 1440 PCGS graded colonial or classic U.S. coins in this sale, 89 have plus grades, about 6.18%. This number is not surprising as most PCGS graded coins have not been resubmitted since plus grades were first assigned in March 2010. 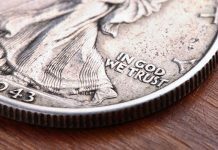 Early predictions suggested that 10% to 15% of PCGS graded coins would qualify for plus grades. PCGS was founded in 1986. In March 2010 and again early 2011, however, PCGS officials maintained that collectors could benefit by resubmitting their already PCGS graded coins under the PCGS SecurePlus program and thus get their respective coins into PCGS SecurePlus holders after being scrutinized, initially with the idea that a significant percentage of resubmitted coins would qualify for plus grades. It was later emphasized that many more doctored coins could be identified with new technology. The PCGS SecurePlus holder is now called just a PCGS Secure holder, and continues to feature a shield on the printed label (‘insert.’). 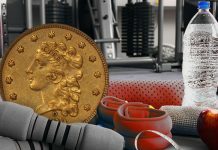 It is relevant that, a matter of weeks after the SecurePlus program was introduced, PCGS officials decided that coins submitted under the standard tier may receive plus grades. Initially, plus grades were only available to coins submitted under the SecurePlus program. In this auction, only ten of the 1440 PCGS graded, pre-1935 coins are in “Secure” holders, well under 1%. 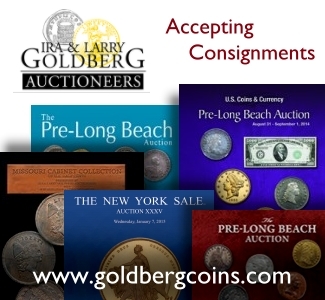 Including modern coins and non-gradable coins, there are twenty PCGS Secure holders in the whole auction, seven of which are in “Genuine” holders housing coins that PCGS experts have held to be non-gradable. A 1918/7-D Buffalo nickel, a key date, in a PCGS Secure ‘Genuine’ holder appears to have been severely mis-treated. It is said to have the details of an AU grade coin. Of the ten coins in PCGS Secure holders with numerical grades, three have CAC stickers, a MS-66 grade 1895 nickel, a MS-64 grade 1834 quarter and a AU-58 grade 1892-CC double eagle. Will leading bidders for these be willing to pay a premium for PCGS Secure holders? I do not know. Of the 949 classics in this auction that are NGC graded, 107 have CAC stickers, 11.28%. Of the 1440 PCGS graded classics, 361 have CAC stickers, 25.1%. It is curious that just 25% of the PCGS graded coins and only 11.28% of the NGC graded coins are CAC approved. There are not many generics in this auction. Around 39% of the scarce coins submitted to CAC in the past were approved. There are, of course, some classics that have never been sent to CAC for various reasons. I figure, however, that 87.5% to 100% of the PCGS or NGC graded, classic U.S. coins in this auction have been sent to CAC at one time or another. CAC was founded in 2007. Although CAC has since stopped considering colonial coins, CAC did accept colonials until the end of 2014, less than six months ago. Without attending lot viewing sessions for this auction, I cannot form a hypothesis regarding the percentage of the coins being offered are CAC approved. It should be noted that only 1.26% of the NGC graded coins in this auction were each awarded a star for eye appeal. While NGC began assigning plus grades on May 25, 2010, the star for eye appeal had been part of the NGC grading program since a much earlier time. NGC “started using the Star Designation on modern coins in late-2000, and by mid-2002 all U.S. coins graded MS-63 to MS-69 were eligible,” reveals Scott Schechter. Of the twelve coins in this auction that have such star designations, four of them, one-third, have CAC stickers. Three of these four are toned Morgans. An 1809 half dollar is NGC certified “MS-63*.” It was earlier in the Eric Newman and Col. Green Collections. It also had a CAC sticker when it was auctioned on November 16, 2013. An NGC certified “MS-67*” 1886 silver dollar was earlier in the January 2010 FUN auction. It was in the same holder with the same CAC sticker when it then realized $862.50. There are two NGC certified “MS-63*” 1887 dollars that were each earlier in the “Battle Creek Collection” and feature very colorful toning. Although certified MS-63 1887 Morgans are extremely common, these two should bring tremendous premiums over the market values for NGC graded and CAC approved, MS-63 grade, white 1887 Morgan dollars. Among CAC approved, PCGS graded coins, the most interesting item is a 1776 New Hampshire Copper, which was formerly owned by Waldo Newcomer, Col. Green, and Eric Newman. It was NGC graded VG-08 and CAC approved when Heritage auctioned it in November 2014. I covered that sale ‘in person.’ I then examined this piece on two different days. It is very similar in color, texture and production quality to the Garrett Family 1776 New Hampshire Copper. The color is a natural and pleasing, mellow brown. This piece has a neat appearance that is hard to explain. The overall texture and color of the coin seem convincing. Although there is not much historical documentation regarding these, my impressions are that the Newman and Garrett New Hampshire Coppers are authentic and were really made in New England during the mid-1770s. I have written an enormous amount about pre-1793 American items over the last ten years, especially about the items in the Newman sales. The Newcomer-Green-Newman, New Hampshire Copper has since been downgraded and is now PCGS graded Good-06. The Garrett piece is PCGS graded VG-10, though it has more corrosion. I doubt that it would have qualified for a CAC sticker. Stack’s-Bowers sold it in March 2012. There are a few other pre-1793 items from the Newman Collection, which were sold in 2014, being re-offered in this sale, though now in PCGS holders. The Newman Collection, Chalmers Threepence was NGC graded AU-50 before September 2014 and has since received the exact same grade from PCGS. ‘It crossed,’ coin dealers say. It was CAC approved before it was auctioned in November 2014. This Chalmers Threepence was dipped in the distant past and has naturally retoned while being well stored for decades. It has few abrasions and certainly scores admirably in the technical category. It is a neat, pleasing coin. I am a little surprised that it is being offered again so soon. The PCGS graded MS-62 Kendall Collection Chalmers Threepence is not much better than the Newman coin. I graded the Newman coin as EF-45 and the Kendall piece as AU-55. Crudely struck, 18th century silver coins are often very difficult to grade, however, and there will always be significant differences of opinion among experts. 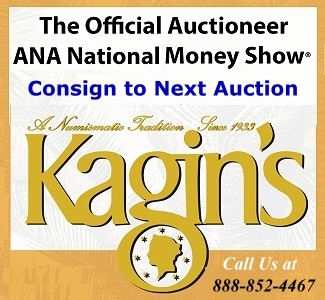 I was surprised to find that there are 61 coins that are ANACS certified, around 2.3% of all pre-1935 U.S. or colonial coins in this auction. Over the last two decades, the excellent collections that I have examined usually contain zero ANACS certified coins, though, once in a while, an excellent collection will have two or three. It should be acknowledged, however, that the coins that I have viewed, many of which were in major auctions, are not a representative sample of all the classic U.S. coins extant. In the U.S. at at large, ANACS certified coins might be more widely held and respected than I realize. In the catalogue for this auction, images of some ANACS graded coins drew my attention. It will be interesting to find out if they realize prices that are in the same respective value ranges as PCGS or NGC graded coins of the same dates, types and assigned grades. The 1877 is the key to the series of copper Indian cents and the ANACS graded VG-08 1877 in this auction might attract bids from collectors around the nation. Moreover, there is a PCGS graded MS-65 1877 cent in this sale, with a seal of approval from the “Eagle Eye” dealership, essentially an additional certification. There is also a PCGS certified and CAC approved, ‘Proof-65 Red & Brown’ 1877 in this sale, as well as a NGC graded MS-60 1877 cent. Will the PCGS graded and CAC approved VG-10 1877 bring vastly more than the just mentioned ANACS graded VG-08 coin? The 1909-S Indian cent is relatively scarce, too, and there is an ANACS graded EF-45 coin in this sale. The 1877 is in an old ANACS “cache” holder, while the 1909-S is an a relatively more recent, somewhat artistic holder with a blue label. There are people who literally collect different generations of holders. The collecting of plastic holders relating to coins is itself a hobby. 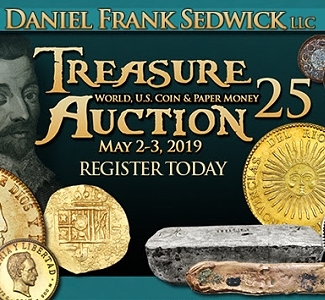 In the middle of May, in New York, I was talking to a sophisticated collector of coins, who has purchased many excellent 19th century silver coins and probably can grade them himself. I was startled when he did not focus on the superb coins in the Pogue I sale, which I thought was the topic of our conversation. This collector beamed instead about the various, very old NGC and PCGS holders that he owned. He downplayed his coins and raved about the holders. He even declared that he has “black” NGC holders from 1987, when black rather than white soft cores were used for a few weeks. He did not mention any coins in ANACS holders. An ANACS graded EF-40 1914-D Lincoln is a key, too. 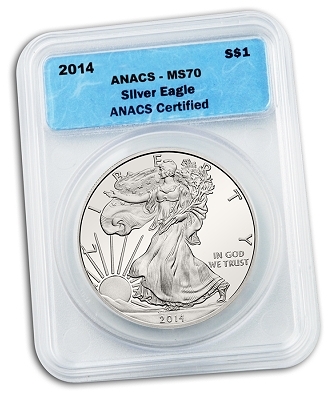 An ANACS certified Proof-66 1894 nickel is mentionable. An ANACS certified Proof-64 1874 quarter is of a two year type and is in a holder with apparently a butterscotch colored label. The inclusion of ANACS certified Morgans in this auction is unsurprising as these often appear at small, medium and large coin shows. There are three ANACS certified 1889-CC Morgans. After the 1893-S, the 1889-CC is the key business strike in the Morgan dollar series. An ANACS graded EF-40 1810 half eagle does not appear wonderful in images, though coins should never be graded from images. Perhaps the auction result will provide a clue as to how leading bidders graded this particular coin? There are multiple early 20th century gold coins, most of which have circulated, in ANACS ‘cache’ holders. 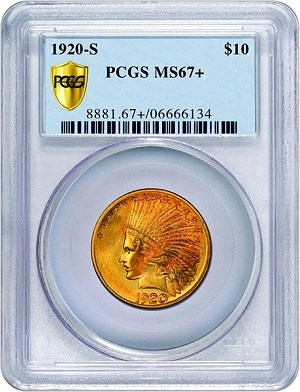 An ANACS graded MS-62 1932 eagle is the most common of the group. An ANACS graded VF-35 1908-S double eagle is the scarcest, as this is a much better date in the series of Saint Gaudens double eagles. The 1913-S is a slightly better date and the ANACS graded MS-61 coin in this sale will attract attention. For a coin business active during the 1970s, the annual revenues for Paramount were very large, including auction, wholesale and retail sales. David Akers was the chief numismatist and vice president at Paramount International Coin Corp., a coin firm in Ohio. My impression is that Akers was not a partner in the firm. Max Humbert was the president and was probably the largest shareholder during the 1970s and early 1980s. Although the firm had multiple partners in the 1960s, sources suggest that Humbert may have become the sole owner at one point. Paramount distributed large quantities of U.S. silver dollars, probably hundreds of thousands in total. Silver dollars from the Lavere Redfield Collection and from other sources were encapsulated and graded by Paramount. Who did the grading? “Redfield dollars were sold with three colors of inserts: blue-black, marked as MS-60; maroon, marked MS-65; and green (very rare) marked MS-70,” notes Paul Sudmeier in the Summer 2009 issue of The Curry Chronicle (Reno, Nevada: CCCCoA, June 2009, Vol. 5: No. 2). I find the color of the core material, in the holders that indicate “Mint State 65,” to be red, rather than maroon, though I admit I have not held a Paramount holder in a while. Also, my impression is that the silver dollars in the green Paramount holders were graded “Mint State 65 Plus” by experts at Paramount, not “MS-70,” though I admit have only seen a small number of Paramount holders with green cores. Most importantly, Paramount sealed silver dollars in plastic holders with printed material that specified a numerical grade for each. Were these the first coins to be encapsulated and numerically graded? “They are the first graded slabs” that Kris Oyster remembers during his career as a coin dealer that has spanned more than 37 years. Early in 1976, A-Mark bought the Lavere Redfield hoard of silver dollars for $7.3 million after winning a sealed bid competition. Jim Ruddy of Bowers & Ruddy was also bidding. A-Mark then contracted with Paramount to sell Redfield dollars. All of the Paramount graded silver dollars in this auction have red cores with a printed numerical grade of “Mint State 65.” Silver dollars of the following dates will be offered. The “Redfield” name is explicitly printed inside many of the holders: 1881-S , 1882-S (“Redfield”), 1885, 1886, 1887, 1888, 1888-S (“Redfield”), 1889-S (“Redfield”), 1891-CC (“Redfield”), 1898-S (6 coins, all with “Redfield”), 1899-O, and 1924-S (“Redfield”). The last coin, the 1924-S, is the only Peace dollar in the run. The others are Morgan dollars. I will be curious to note the prices realized of these. In auctions, do the “Redfield” holders command a premium, on average, over Paramount holders that lack explicit mention of the “Redfield” name? Redfield has become famous since his death in 1974, and has been the focus of stories in numerous television shows, magazines, web sites and books. As recently as 2014, a widely publicized biography about Redfield was published. 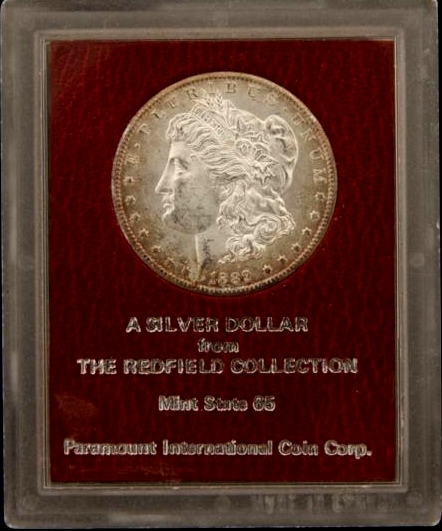 Even so, it is believed that at least half of the Paramount holders that do not explicitly mention “Redfield” contain silver dollars that were in the Lavere Redfield Collection. 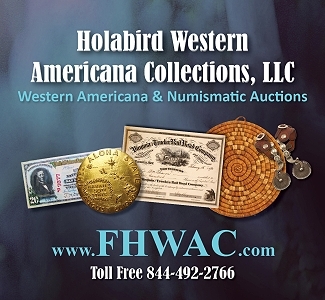 My impression is that there are hundreds of collectors who literally ‘collect the holders’ and would seek to keep their Paramount holders intact, regardless of the current grades of the silver dollars included. After all, these are not rarities. The 1881-S and the 1882-S are the most common of all surviving 19th century silver coins. Richard Burdick remembers when Paramount sold these coins “from the mid to late 1970s. Most of them were from the Redfield hoard, which was big news then. The MS-65 coins are overgraded by today’s standards,” Burdick notes. Very recently, at a coin show in Tyler, Texas on June 12th and 13th, Kris Oyster wholesaled a group of silver dollars in red Paramount holders with printed “MS-65” grades, some of which were explicitly identified as “Redfield” dollars. The group included 1881-S, 1882-S, 1884, 1885, 1885-O, 1886, 1888-O 1896, and 1898-O Morgans, among others. These Paramount holders “are very popular among today’s collectors” for two reasons, Oyster maintains. 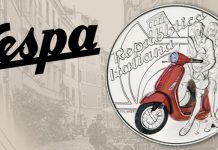 Many people collect the holders, with the appearance of the coins being a secondary consideration. Others desire the Paramount holders “because most coins in them exhibit their natural state with no signs of cleaning or being dipped.” Collectors like the “originality of the silver dollars in Paramount holders,” Kris emphasizes. Oyster wholesaled the Morgan dollars in Paramount holders for more than they would be worth to leading wholesalers if they were each PCGS or NGC graded MS-64, some for more than the wholesale levels for PCGS or NGC graded MS-65 dollars of the same respective dates, although it is unlikely that any of them would be graded MS-65 by PCGS or NGC. Also, grading fees would have to be paid if they were submitted. “By today’s standards most of the coins in the Paramount red holders would grade 64 or 64+,” Oyster determined. 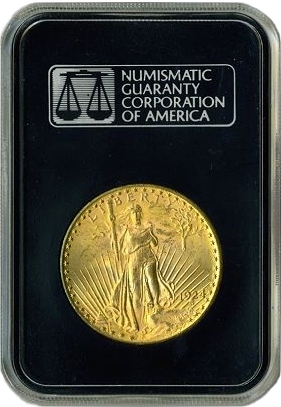 In the past, NGC graded coins in such Paramount holders and attached a band around the Paramount holder, which was similar to the bands that NGC placed around GSA holders. Oyster is aware that some in red Paramount holders have been NGC graded MS-63 in the past, though Kris contends that most of those would qualify for 64 grades in the present. Kris himself has handled many Paramount holders during the course of his career. “It is often true a silver dollar in a red Paramount holder, a 64 today, will be worth more than a coin of the same date in a PCGS MS-65 holder,” Oyster asserts. Last November, Heritage sold an 1881-S Morgan that was Paramount graded MS-65 and NGC graded MS-63 for $211.50, more than 50% above the value of a PCGS graded MS-65 1881-S. In the same sale, an 1882-S, another extremely common date, that was Paramount graded MS-65 and NGC graded MS-64 sold for $246.75. At the time, an 1882-S in an NGC holder with a MS-64 grade would have had a market value less than $80. Apparently, the premium for the Paramount holder was more than 200%! It is unlikely that this 1882-S is particularly appealing. The bidders were seeking the holder, not the coin, which does not rank among the 15,000 finest 1882-S Morgans. Once again Greg Reynolds article is interesting and informative .